One and only foal for me this year, a pretty bay filly. She is adorable! Definitely a bay year this year! Well done guys she looks lovely...more pics please! Ah Sam she is lovely! 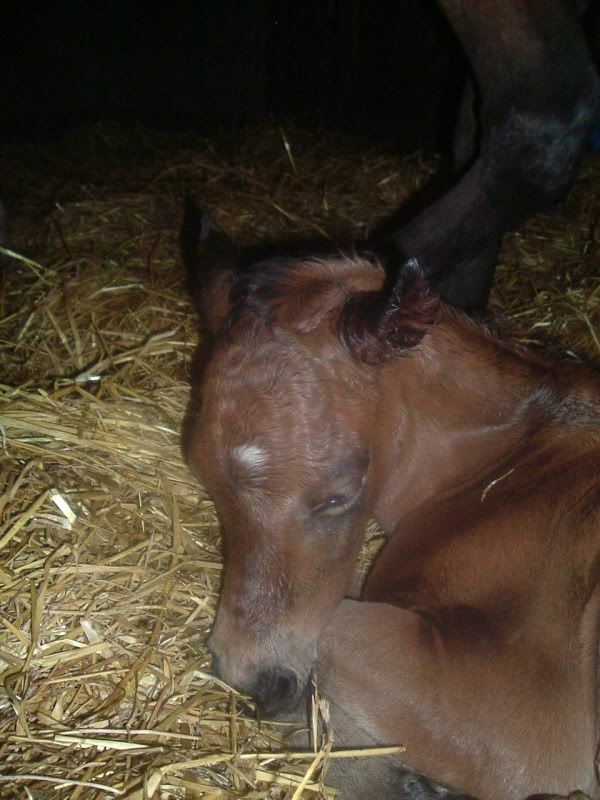 Congratulations sam, she looks a real cutie, would this be fabage's and rachid's foal? Oh i am going to have to come and see you soon, i need to see little merrie as well, let me know what days your not working next week and i will nip round and meet her. Congrats again. congrats sam. come on more pics !!!!!!! She's lovely, hope all are well at yours. Judi.